It was great to welcome Lois Donaldson from Wine Selectors, to our May luncheon. She provided some great insight into the customer journey that Wine Selectors has been on. A local quiet achiever, the organisation has successfully repositioned itself to remain relevant in a rapidly changing marketplace. Most of us would remember the approach from years previously, whereby members of Wine Selectors would receive a box of wine chosen by the team. The concept was that the ‘wine selectors’ in the organisation would use their expertise to choose the best options for that month. However, with changing customer expectations this approach was no longer relevant. Lois shared with us the journey of change the organisation has been on and how their focus is on the customer’s need and finding business solutions to meet those needs. A great addition to the luncheon was the wine tasting that Adam Walls provided, pairing wines with the delicious lunch and dessert provided by Blue Star catering. Next month we are thrilled to be partnering with GWG Partners, Hall & Wilcox and Jirsch Sutherland to present Thérèse Rein. 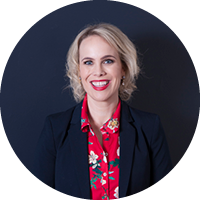 Thérèse is an Australian entrepreneur who founded and grew Ingeus, a human services company, from a single person in an attic office in Brisbane in 1989 to 6000 colleagues serving half a million people at any one time in twelve countries around the world. Obviously she is also the wife of past Prime Minister, Kevin Rudd! We will also be supporting Barefoot College with this event, a charity that Thérèse is a patron of and local businesswoman, Shivani Gupta, is a board member of. Tickets are already selling fast for this event, make sure you don’t miss out – you can buy your ticket here. I’m also happy to announce that our Annual Awards are now open. The Newcastle Business Club Annual Awards recognise a younger (under 35) person, an individual and a company/organisation each year who have made a significant contribution toward the commonweal of Newcastle and the Hunter Region. Whether that is through the improvement of industry, culture, education, sport or the overall wellbeing of the citizens of Newcastle. In an exciting development, this year we are also partnering with the Equal Future Project to deliver the Hunter Diversity Awards. To nominate for any of the awards, please click here. And finally, we are continuing planning for other events throughout the year – if you would like to get involved as a sponsor, please get in touch. I hope to see you at one of our luncheons soon.